It's golf season, ladies and gentlemen. Grab your 7-irons, pick a wedge, and let's get to the links! While playing a realistic golf game or, dare I say, the real thing can be a lot of fun, for me, there's no better good time on the links than with wildly fantastical elements involved. Part of the fun of arcade golf games is when they forgo realism to allow for accessible and much more fast-paced gameplay. That's how most of the games on this list are. After you've read my picks for the best in arcade golfing, please post your own favorites in the comments below! Let's tee off, eh? We tee off with this list of ten terrific arcade golf games with the PANGYA series. This Korean online golf series is quite popular overseas. 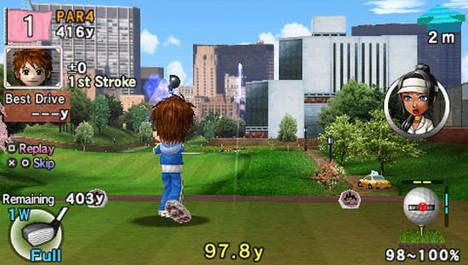 While it originated on PCs, Super Swing Golf saw two releases on Nintendo's highly popular Wii console. 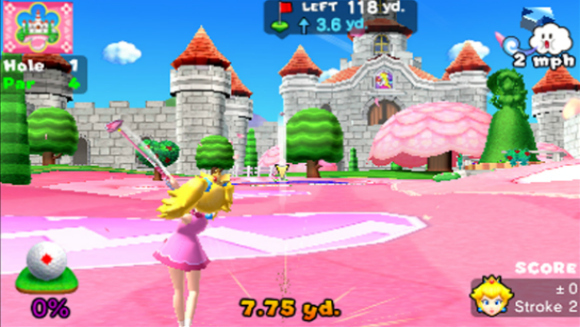 The second released game, Super Swing Golf: Season 2 included a greater story mode where players could explore an overworld map similar to New Super Mario Bros. Wii at the time, selecting challenges to play and unlocking content in the process. 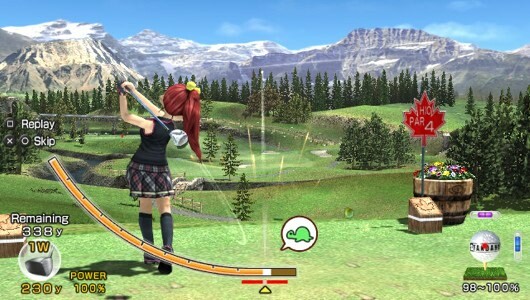 Offering two control schemes: a Wii Sports golf-esque swing system with the Wii Remote or a button-controlled setup, Super Swing Golf: Season 2 delivered charming and enjoyable golf with plenty of refinements both in gameplay and in content compared to its predecessor. 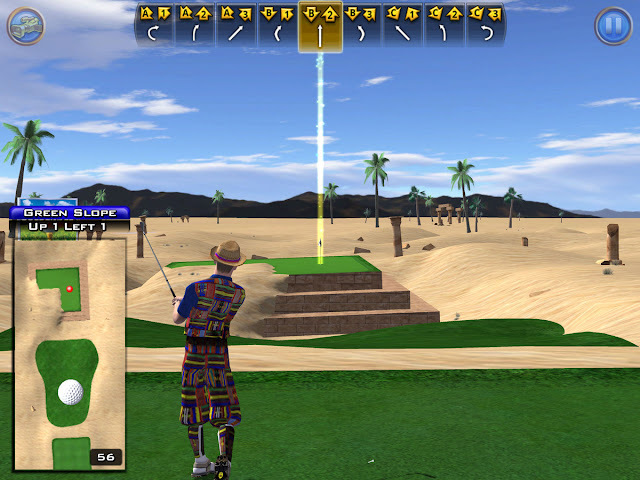 A PlayStation Vita launch title later released digitally on the PlayStation 3, Hot Shots Golf: World Invitational was the sixth installment in the long-running Hot Shots Golf series. The entry's biggest innovation and heralded feature was that of online golf clubs and tournaments, allowing players the world over to engage socially and competitively in various golfing competitions. 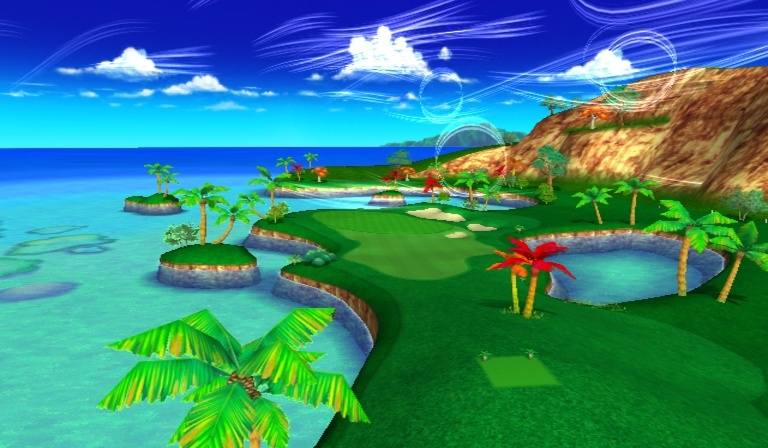 The six courses of World Invitational were superbly designed, making the multiple play-throughs of them seldom get tiring. 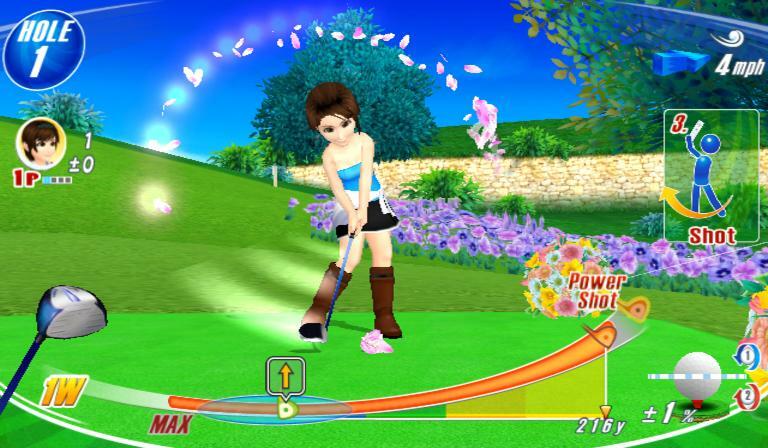 Hot Shots Golf has never looked as good as it does on the PlayStation Vita and PlayStation 3. While not revolutionizing the arcade golf genre in any way (and if you have a good thing going, why risk ruining it anyway? 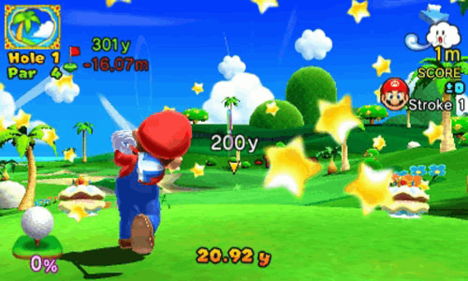 ), Mario Golf: Toadstool Tour on the GameCube featured a total of 16 playable characters, some that would debut as a playable character in the Mario sports series. The seven courses in Toadstool Tour ranged from basic, realistic affairs like Lakitu Valley and Cheep Cheep Falls to more fantastical designs featuring many Mario enemies and challenges such as Thwomps, Chain Chomps, and lava hazards, to name a few. The gameplay of Toadstool Tour remained relatively unchanged from its Nintendo 64 predecessor, once again invoking the tried and true saying, "if it ain't broke, don't fix it." However, what Toadstool Tour lacked in gameplay advancement, the game more than made up for in personality and fun. PANGYA is back on this list, baby, and there is even more fantasy golf to love. 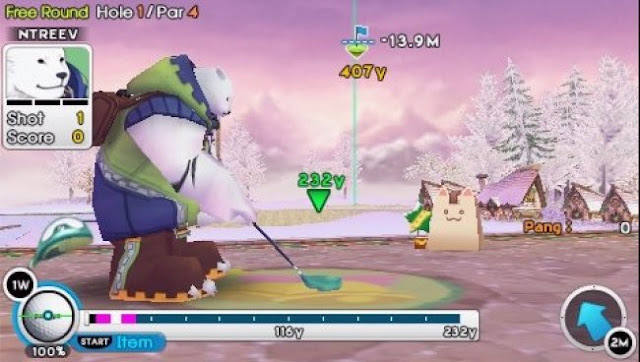 This PSP installment follows the PC PANGYA titles closely, offering a similar story mode structure full of different characters on the roster to play as, from young children to a giant bipedal polar bear. The nearly ten courses taking place from pleasantly tropical wonderlands to a volcanic environment demand practice and persistence to get top marks and low numbers on one's scorecard. Earning new gear and apparel for the numerous characters of PANGYA: Fantasy Golf is addicting much like the three-click system gameplay this game and many others like it on this list has. 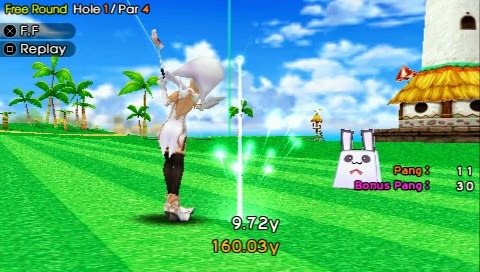 The golf may be fantasy-like, but the quality of PANGYA on PSP certainly isn't. 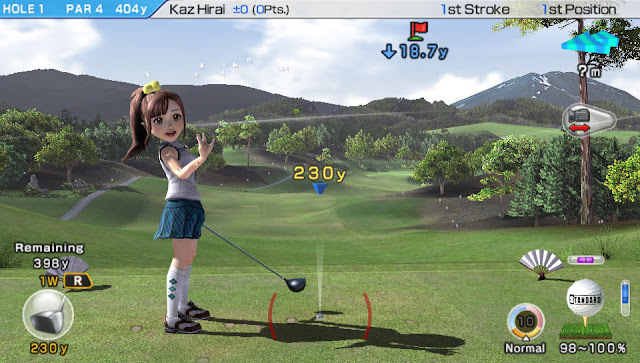 While not resembling the controls of Wii Sports golf to the number, Capcom's and Camelot Software's We Love Golf is a game that used the Wii Remote to enhance the traditional three-click swing system. Holding the button down initiate the gauge while swinging back and forward with a specific rhythm enabled the player's shot. Despite not being a typical golf swing, We Love Golf's controls felt nice. The game had eight beautiful courses to play on, a cast of characters that could wear unlockable costumes from Capcom's past (such as Street Fighter's Ryu, Chun-Li, and Ken; Phoenix Wright's Apollo Justice; and Ghost 'n Goblins' Arthur), and a wide variety of modes to keep players engaged. While online is no longer available, We Love Golf remains an affordable arcade golf game worth experiencing for those wanting a Mario Golf-like experience on their Nintendo Wiis. What a strange list we have where there is actually only one arcade golf game that can be played in an actual arcade! Golden Tee Golf debuted in 1989, and it's a golf game that is perfect for grabbing a pint, taking a drink, and putting and driving a golf ball with friends. The giant track ball serves as the main control for the Golden Tee Golf series, allowing for great accessibility and precision putting and driving. The ridiculous courses and golfers add to the fun, as does the alcohol you can get if you play this game in a bar, a popular attraction at such locales. 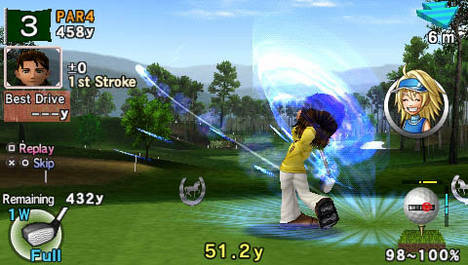 The Hot Shots Golf game that still possesses the most content out of any past or future Hot Shots Golf entry, Hot Shots Golf: Open Tee 2 sports an impressive twelve courses: six completely new courses and six taken from its predecessor, also on the PSP. 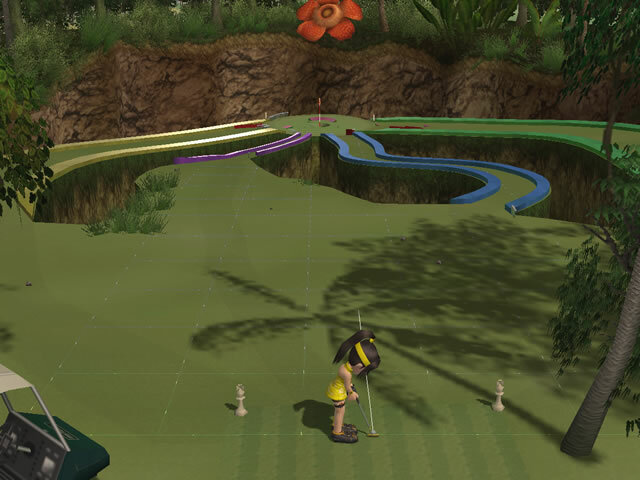 You also get a wide assortment of goofy golfers (unlike the more proportionate characters seen nowadays in the series) to take to the links with, each allowing you to customize their appearance, mixing and matching different costume pieces won and earned in the solo campaign. Hot Shots Golf: Open Tee 2 is a fantastic golf game that doesn't take its appearance too seriously, but it does take its excellent golf gameplay seriously enough to make a great title. 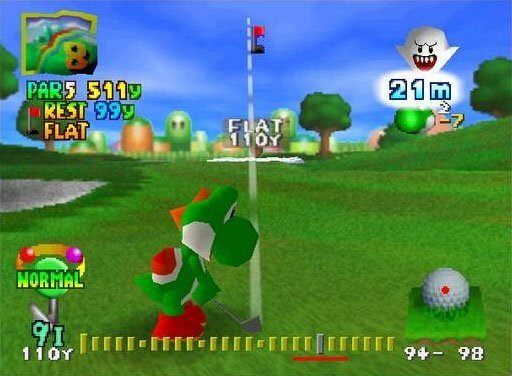 For me, the Nintendo 64 Mario Golf was what introduced me to the world of arcade golf games. Perhaps that's true for many gamers around my age (30 years-old). 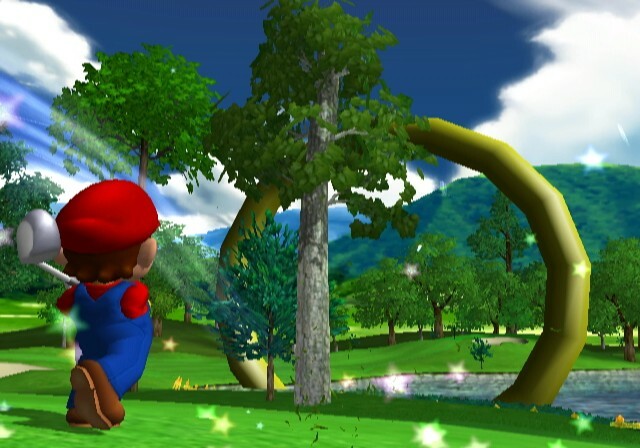 Regardless, Mario Golf on the Nintendo 64 brought with it six courses, some of which leaned more towards the fantastical, taking place in the sky or having its bunkers, fairways, and water hazards all carefully positioned together to resemble characters from the Super Mario franchise. 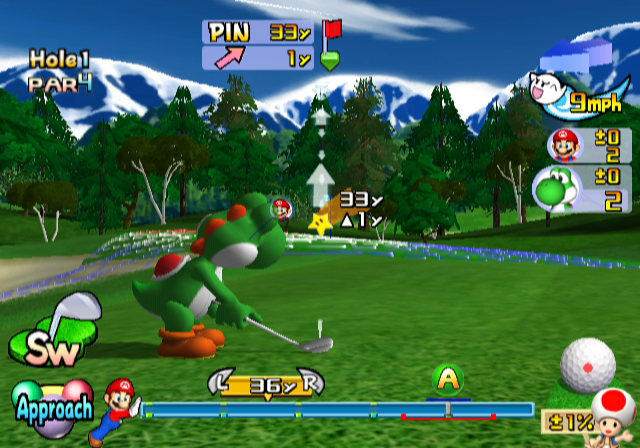 If you're looking for a specific type of golf in Mario Golf 64, then you'll probably find it with the game's match play, skins play, speed golf, mini golf, ring shot golf, and so much more. The ability to play as both familiar Mushroom Kingdom characters and all-new human characters, well designed courses, and well executed golf that's inviting to both beginners and experts make for an arcade golf game that is still worthwhile nearly 20 years later. The Hot Shots Golf series is currently at its sixth installment, which was covered earlier on this arcade golf-centric list. There is also an intriguing seventh entry on the way for the PlayStation 4, looking like a more open world golfing experience. Regardless, the series hasn't reached the same heights on consoles since Hot Shots Golf Fore!, the second and last entry on the PlayStation 2. Complete with 12 remarkable courses, tons of unlockable characters earned through taking them on in Match Play, multiple items, caddies, and other goodies to buy in the shop, and at one time online play, Hot Shots Golf Fore! drives the ball far and creates an amazing arcade golf experience. Like I said in the introduction of this list, the fun of arcade golf games is when they forgo realism for fast-paced gameplay and accessibility. 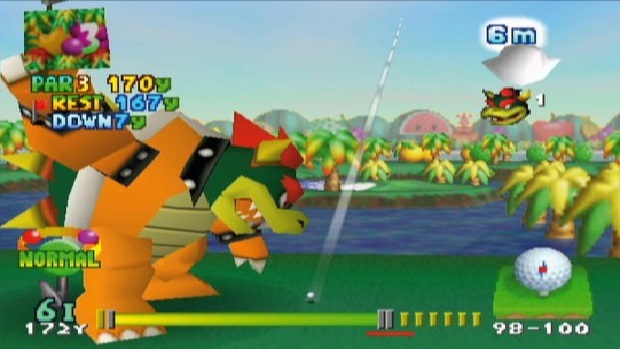 It's no different with Mario Golf: World Tour, the Nintendo 3DS entry in the Mario Golf franchise. Not only does the latest Mario Golf offer a staggering amount of courses both realistic and fantasy-based, but it also is overloading with content. 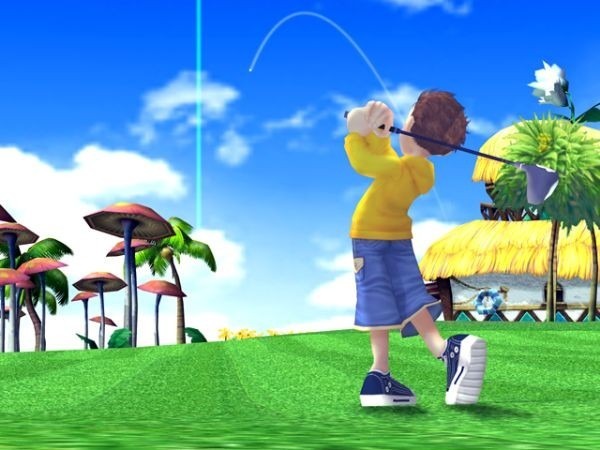 Mario Golf has never felt more complete or more fun with a mode dedicated to Miis, online tournaments and multiplayer, rewards and gear to unlock for your Mii, challenges to complete in an entirely separate mode, and far and away some of the best golfing controls and feeling of playing the real deal in an arcade golf game. Mario Golf: World Tour is a tremendously successful game at teaching you how to play, being accessible for all who can pick up a 3DS, and just being an all-around joy to play.